A yummy way to end a working week with this recipe that is not only quick and simple but also tastes amazing! Roast the Onion Rings following the instructions on the pack. Heat a pan and toss in the button mushrooms. Saute the mushrooms till they soften and become tender. Then, season them with salt and pepper. 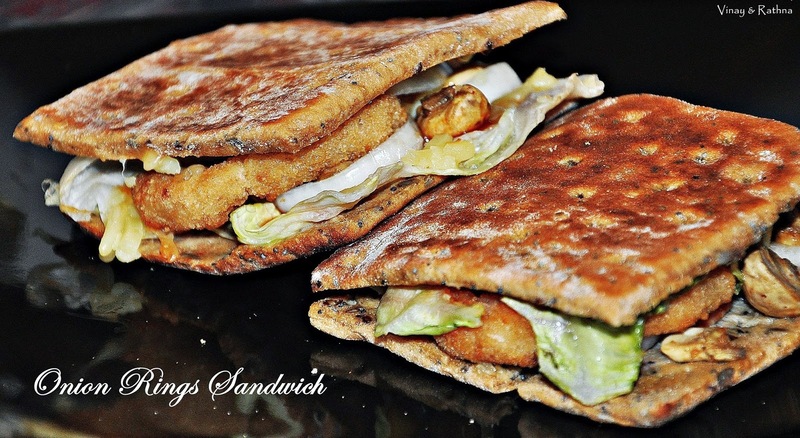 Layer the Sandwich thin with Lettuce, Onion Rings, Salad tomatoes and Mushrooms. Toast your sandwich and enjoy it! Any type of grated cheese will work but our favourite is Mozzarella cheese. You can also use Cheese slices if you do not have grated cheese. Add Jalapenos if you like your sandwich spicy. You can also spread cream cheese or tomato sauce on the bread. This is completely optional and based on your taste.